Just like with a vibrating plate, vibrating foam rollers activate your muscles. They are used to soothe and smooth out muscles pre-and post-workout and to relieve tension and muscle pain with a deep tissue massage. Anyone can use vibrating foam rollers. Use them to bookend your exercise routine with a full body vibration machine or as muscle stimulation for your off-days. Vibrating foam rollers have a much higher impact than regular foam rollers. Correct and directed use of a vibrating foam roller can improve your agility and exercise performance by up to 40%. 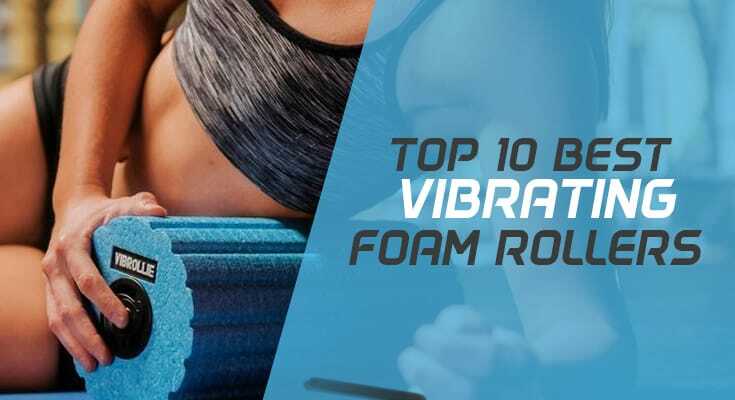 The vibrating foam rollers that have made it on this list are aimed at both people with exercise injuries and those that do intense workouts frequently. Choose a surface pattern and vibration intensity depending on the purpose of the exercise. How Intense is the Vibration? The LifePro 4-Speed Surger Foam Roller is the smallest vibration roller on this list but also the most powerful vibration with 10400 mAH thanks to its four 2500 mAH batteries. This LifePro design is only 11.5 inches long and is easy to carry anywhere with the free drawstring bag included in the package. 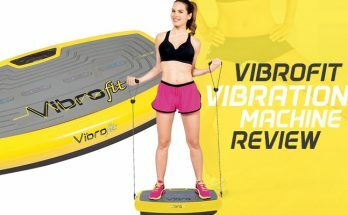 You can be assured that this vibration roller does its job as the founders of LifePro started the company out of frustration with fitness gear that could not address their ACL injuries. LifePro prides itself of delivering the full workout gear package with a helpful manual ebook and access to free video tutorials making this a great model for new users. The Surger Foam Roller has four different vibration settings and three very different textures which gives you a lot of freedom in customizing the exercise to your personal needs. The lowest vibration setting starts at 28Hz and increases gradually with each setting to 32 Hz, 34 Hz and 38 Hz at level four. The surface has a flat and soft surface for the most gentle pressure, tubular ridges for medium pressure and hexagons for maximum pressure. However, for people that want the deepest pressure might be disappointed because the knobs are not deep. A unique feature on the ProLife Surger is the customizable light-indicated exercise timer on the side. It gives you more guidance during your exercise showing time intervals of 60 seconds, 90 seconds and 120 seconds. NextRoller is a small manufacturer based in California that is making waves with their 3-Speed Vibrating Foam Roller. This 13” x 6” exercise tool packs a punch in its vibrations to clear you from muscle pain caused by injuries and post-workout. The design is practical; there is a carrying handle on the side hiding the built-in wall outlet charging cable. The entire device weighs only three pounds so you can bring it with you anywhere. The vibrations come in three levels; I at 20Hz, II at 40Hz and III at 60Hz. You can easily switch between the settings using the dial depending on whether you are using the vibrating foam roller as pain relief, cooling down after exercise or to give yourself a deep tissue massage. This is not an introductory design as the thick and dense hard surface penetrates deeply onto your skin. It is more appropriate for people suffering from serious muscle pain caused by exercise or injury. NextRoller boasts to have pro-athletes from the NFL as their customers and if anyone’s body takes a beating then it is definitely NFL players. If you need a way to relief your muscles after an intense workout then try the NextRoller 3-Speed Vibrating Foam Roller. The well-researched design of the Phenom 3-Speed Vibrating Foam Roller makes a great companion for athletes and frequent gym buffs. The strong and dense pattern design gives your body an intense massage that speeds up muscle recovery time. What sets this pattern apart from other vibrating foam rollers is the unique dual function grooves aimed at relieving your Achilles tendon. Where the sides of the foam roller are more dense and narrow, the center is wider and flatter to address the very common back injuries associated with the Achilles tendon. The surface is made of a sturdy gel that combined with the vibrations help to stimulate your muscles pre-workout for greater range of motion of up to 40%. Using the Phenom 3-speed vibrating foam roller after workouts will also help to lower symptoms of delayed onset muscle soreness (DOMS). The ergonomic design not only targets muscle pain but also soothes your muscles for increased flexibility and strength during workouts. This is truly a design for active people that want to give a better full body performance with each visit to the gym. This model has a fast-charging lithium-ion battery that can last a longer period of up to three hours of use. 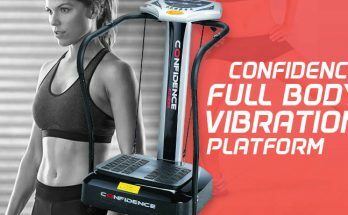 The long battery life combined with the easy built-in handle on the side makes this an effective and practical piece of gym gear. If you are looking for a longer vibrating foam roller then try the 17 inch Vulken 4-Speed High-Intensity model. The longer shape makes it easier to keep steady and also covers a larger area of your body. Despite being longer than the standard 13 inch models, the Vulken design is lighter, weighing just over 2 pounds. This is because of the use of the thick air injected polypropylene plastic shell as its surface. The vibrating foam roller comes with a specifically designed carry bag so you don’t have to worry about it fitting into your gym bag. The grooves are long and thick horizontal bumps with thinner vertical ridges in the center. This pattern feels great on larger body parts like the back and calves for stimulating circulation and quicker muscle recovery after exercise. The gentler pattern is a good introduction to vibrating foam rollers. The variety in vibration intensity also helps to slowly get used to using something more intense than a non-vibrating foam roller. Where most vibrating foam rollers come only offer increased intensity between its setting, one of the Vulken vibration speeds is a unique auto-mode with a gentle pulsation. This setting is ideal for warming up your muscles before high-intensity exercise. The side features a light indicator for both the battery life (red light) and the vibration setting (blue light). The opposite size is where you connect the wall outlet charger to recharge the lithium-ion rechargeable battery. A gentler alternative for a non-uniform surface vibrating foam roller is the Zyllion 4-Intensity Vibrating Foam Roller. This surface pattern is designed to mimic the hands of a massage therapist with three different kinds of textures for three different intensities. The Zyllion 4-Intensity Vibrating Foam Roller pattern is ideal for Self-Myofascial Release Therapy since you can control the intensity by rolling on different parts of the foam roller. It is also a great tool for massage therapists and physical therapists to give their clients deeper muscle stimulation. The Zyllion design can also be incorporated into an exercise routine that focuses on flexibility. 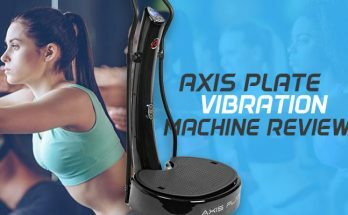 With an impressive number of vibration settings the workout becomes more intense with a higher impact in a shorter time. You can monitor the vibration intensity with a quick glance at the multicolored light indicator on one side of the roller. The other side of the roller shows you how much battery is left with four tiny white lights indicating 25% of battery life each. This vibrating foam roller is powered by a rechargeable lithium-ion battery (wall outlet charger included) that will last 2,5 hours. This is longer than many other vibrating foam rollers. Each vibrating foam roller has a different surface pattern and vibration intensity, both of which have an effect on the impact of the exercise. It helps to read the reviews of other users to get an idea of what that specific foam roller is best used for. If you prefer a quick overview instead then read through following buying guide with a few easy tips to look out for during your purchase. There are three general types of foam roller surfaces; deep tissue, firm and grids. Choose a surface pattern depending on the purpose of the vibrating foam roller. The pattern of vibrating foam rollers is commonly compared to the hands of a skilled massage therapist. The feel can be quite similar and many users of vibrating foam rollers find that it is a great alternative to perform self-myofascial release therapy. Deep tissue: thicker narrower knobs that put the most pressure on the body. Comparable to the strong fingertips of a massage therapist. Firm: flatter and wider ridges for the most gentle pressure. Comparable to the palm of a massage therapist. Grids: thickness and width between firm and deep tissue knobs. Comparable to the fingers of a massage therapist. Many models will feature different patterns on the same vibrating foam roller. This allows you to have a more complete exercise and alternate pressures for different body parts. If there is a specific body part that you would like to address then don’t hesitate to contact the customer service of the brand. Most fitness gear companies are more than willing to guide you to find the best vibrating foam roller for your needs. Choose the vibration intensity according to the purpose and your personal experience with vibrating foam rollers. Choosing the wrong vibration intensity can lead to either disappointment because it is too gentle or an unwanted surprise of being too harsh. For new users of vibrating foam rollers, it is best to use a model that has lower Hertz that you can gradually increase. For alleviating pains from exercise injuries the lower intensity levels are probably also sufficient. If you frequently perform high-intensity workouts that leave you feeling very sore then greater Hertz is a better choice. 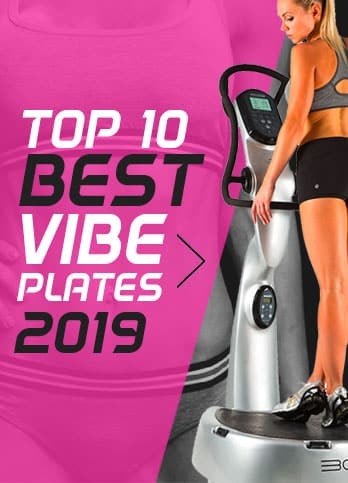 Stronger vibrations means more muscle stimulation which helps to speed up the recovery process so you can perform at full capacity each time. If you have never used vibrating foam rollers before then it is useful to pick out a model that has a guidebook and video tutorials included. Exercising with a foam roller that vibrates is slightly different to a regular foam roller so you want to make sure you do the exercises correctly for the best impact. Alternatively, ask the personal trainer at your gym to give you advice on which model would best complement your regular exercise routine and are safe for any possible exercise injuries.